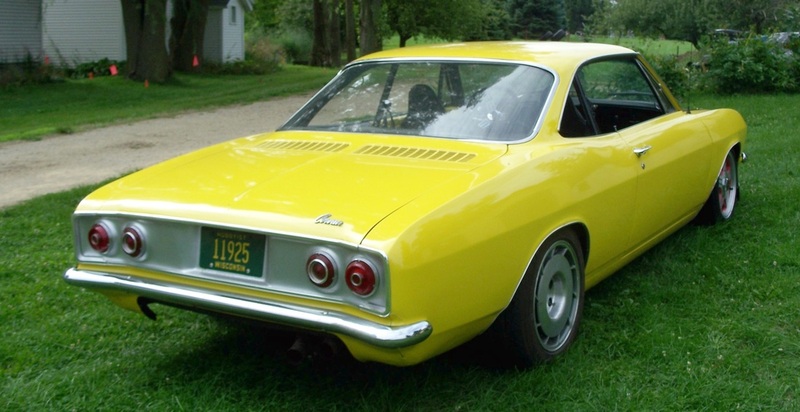 My Corvair stared as a 1967 Monza 110Hp, 3-speed. The engine is now an “94” LT1 350 with aluminum heads and electronic fuel injuction. The intake manifold is reversed on the block for more passenger space. 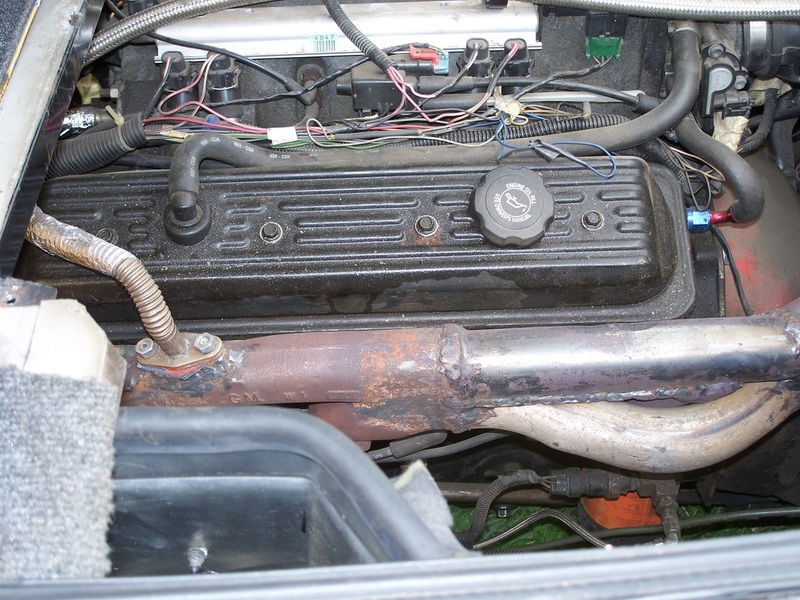 I originally used a set of four tube, short track headers, but they were to hot and noisy for an enclosed engine compartment. Four-wheel disc brakes using late 80’s F-car rear rotors for the back and mid 80’s Corvette rear rotors for the front. GM metric calipers with spacers are an easily obtained option. 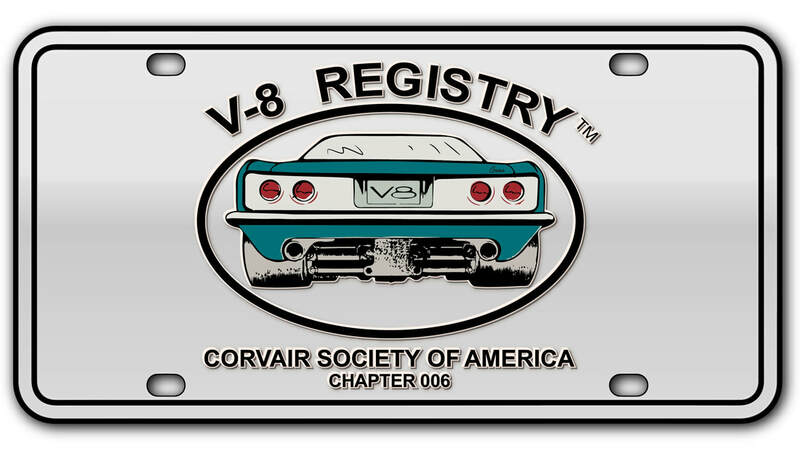 The ’67 dual piston mater cylinder is an upgrade for my Corvair. 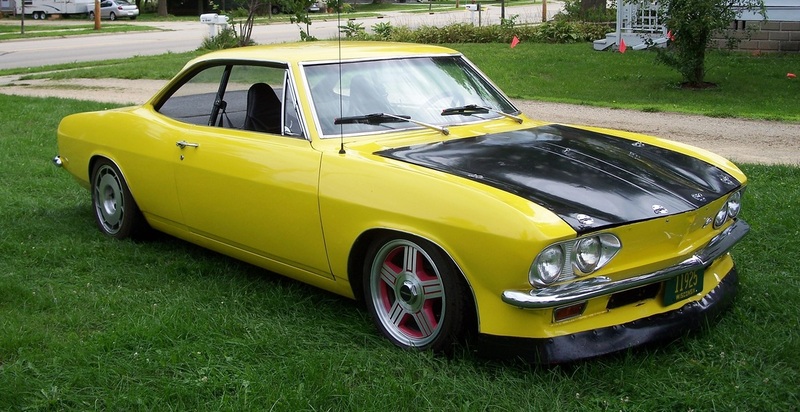 I used the ’66 or newer Saginaw transaxle with the 4 gear differential. The basic conversion is similar to the original Crown design with a steel bellhousing to replace the adapter plate. The shifter was repositioned to use a straighter, lighter shifting tube. The original front suspension is poor for cornering and feel. Camber change, ackerman and anti-dive offer areas of improvement. I use coil-overs for easy ride height settings. Steering arm configurations are very important for steering speed, comfort and predictability with wide tires. For track use, handling differs left to right because of 53% to 54% left-side weight with driver. 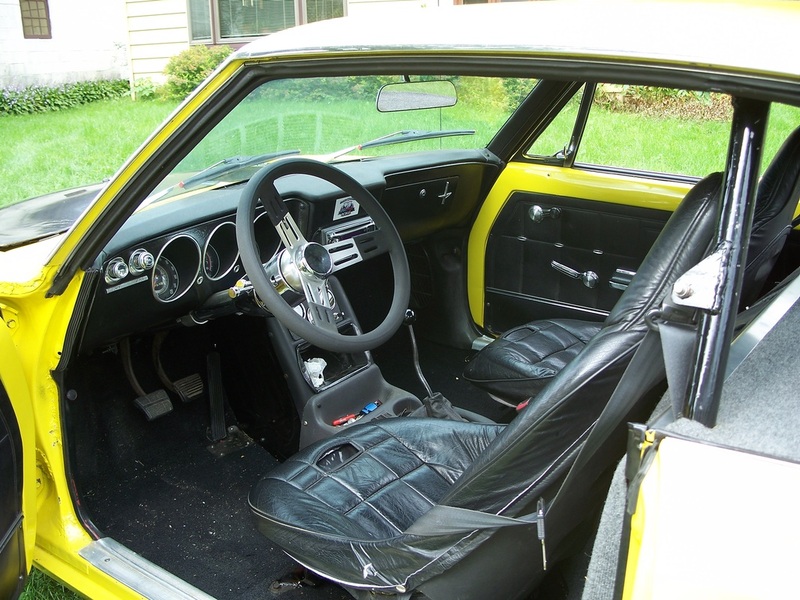 Rear springs are 5 ½“x12” single pigtail 200 pounds per inch (at Circle Track dealers).